In these best memory pillow reviews 2019 we shall present our top 6 memory foam pillows. What’s most important? Your mattress or your pillow? Many people take great care in buying their mattress, but then fail to take the same care when choosing their pillow. When buying a pillow, it is important to understand the difference between the various options. For that reason, we shall first present our top 6 memory foam pillows, with an explanation of how they differ. We shall then follow that with a Buyer’s Guide to such pillows so you understand not only what you are buying, but also what to look for. There are different types and shapes of memory foam pillows. 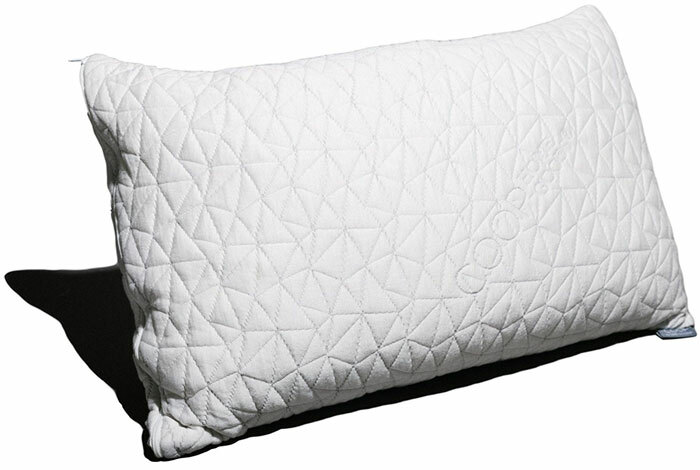 First, here are our top 6 pillows. We used the Queen size for all our reviews. Note: The memory foam pillows included in our review are sold singly. If you require two, you will have to buy two. The Coop Home Goods Premium shredded memory foam pillow enables you to adjust the loft or height of the pillow. It of a mix of shredded visco-elastic memory foam enclosed in a cover of 60% polyester and 40% bamboo-derived rayon. The cover can be added to remove or add more filling. The pillow can be machine washed and dried, and if the filling starts to separate or flatten you can plump it up in a tumble dryer for a few minutes. Fully adjustable loft by adding or removing filling. Shredded memory foam enables excellent ventilation to help the pillow stay cool. Hypoallergenic and resistant to dust mites – excellent for allergy sufferers. CertiPUR-US certified foam: made without heavy metals, ozone depleters, toxic flame retardants, chlorinated fluorocarbons (CFCs) and phthalates are regulated by the CPSC (the United States Consumer Product Safety Commission). 100-day sleep trial – return within 100 days for no-questions refund. Some side sleepers experience flattening and separation of shredded foam. Although guaranteed not to go flat, the shredded memory foam can be flatted after extended use. However, you have 100 days in which to return it. Editor’s Notes: This is an excellent example of a shredded memory foam pillow. Although there may be a tendency for it to flatten if used continuously in the same position, turning it and occasionally giving it a dry tumble in a warm dryer can plump it up again. The Snuggle-Pedic Ultra is another shredded memory foam pillow that conforms to the shape of your head for excellent support. It also comes with a bamboo/polyester cover, this time 56.4% polyester and 43% bamboo, but with an addition 6% Lycra that helps make is smooth to your skin and stay cool all night. It can be machine washed and dried, and if needed can also be plumped up in a warm tumbler dryer. Adjustable loft shredded memory foam. Cool zippered cover with micro-pores for good ventilation. A combination of CertiPUR-US and Biogreen foam indicates the foam to be manufactured without hazardous materials and to be low in VOCs (volatile organic compounds). 20-Year warranty against manufacturing defects. 120-night sleep trial, during which the pillow can be returned free of charge without any hassle. Some flattening and separation issues even though it is guaranteed not to flatten. The Lycra in the cover can give the pillow a slippy feel to it which some users may not like. Editor’s Notes: This is another good shredded memory foam pillow. Shredded foams tend to be comfortable to sleep on because they are supportive, while also conforming to the shape of your head whichever way you sleep. Shredded memory foams remain cooler than solid varieties due to the freedom of air flow through the foam. The Bear pillow is a hybrid memory foam pillow shaped to keep your neck level with your spine. The OFT-X hybrid foam provides the support of memory foam and also the resilience of latex. The cover (Double Ice fabric) possesses a mesh panel at either side for maximum ventilation. The Bear pillow can be machine washed and tumble dried. Each side consists of a mesh ventilation panel. 100 night trial: but return shipping at your expense. Warranty against faulty manufacturing only 2 years. Return during the 100-night trial at your expense. Editors Notes: This pillow is smaller than those above (all pillows reviewed are Queen size) and 5 inches thick. The warranty is not good at just 2 years, although the company believes that any manufacturing defects should appear within 2 years. You pay for the return of the mattress during the 100-day sleep trial, although that is not particularly unusual. Some don’t charge and some do. This seems a good alternative to the two shredded memory foam pillows above it. The Xtreme Comforts pillow is a shredded memory foam pillow whereby the loft or packing of the pillow can be adjusted. The cover is made from 56.4% polyester, 40% bamboo rayon and 0.6% Lycra. It is zippered to enable you to change the amount of fill. Like other shredded foam pillows, the Xtreme Comforts pillow adjusts to the shape of your head to provide support where needed. It claims to be suitable for all sleeping positions. Fully adjustable and ideal for all sleeping positions. Shredded memory foam allows a good flow of air through the pillow to keep it cool. The micro-vented polyester/bamboo cover is soft to sleep on and allows good air circulation. Uses only CertiPUR-US certified foam and analyzed for conformance by independent labs. Return within 30 days if not satisfied. The 30-day period is poor compared with the minimum 100 days of those above. Some users find the pillow to flatten or the shredded foam to separate fairly quickly. Some users found the pillow too hard, but the loft can be changed by removing foam. You have to contact the seller for warranty details or check the company website. Editor’s Notes: This seems to be a standard shredded memory foam pillow, similar to those discussed previously. Its sleep trial of 30 days is very short, and there is no indication of whether you pay return costs or not. It appears to be a good quality pillow, suitable for most sleeping positions. 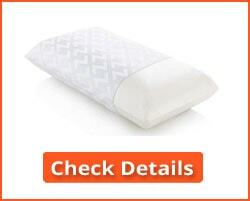 TheZalouf Z memory foam pillow is not shredded memory foam. It comprises 100% open-cell polyurethane memory foam. It is available in a range of three lofts: high, medium and low, and two density levels, hard and plush. What these terms actually mean is unclear, although from reviews we have analyzed it seems that there is either a wide variation in expectation or a variation in levels of hardness/softness and loft. These pillows more closely resemble the look of standard pillows, with a removable Tencel cover with good breathability and moisture management properties. The Tencel cover is 75% polyester and 25% bamboo-derived rayon. These Zalouf pillows are marketed through LInenSpa. Open-cell memory foam keeps the pillow cool during the night. Options on loft/thickness and hardness levels. 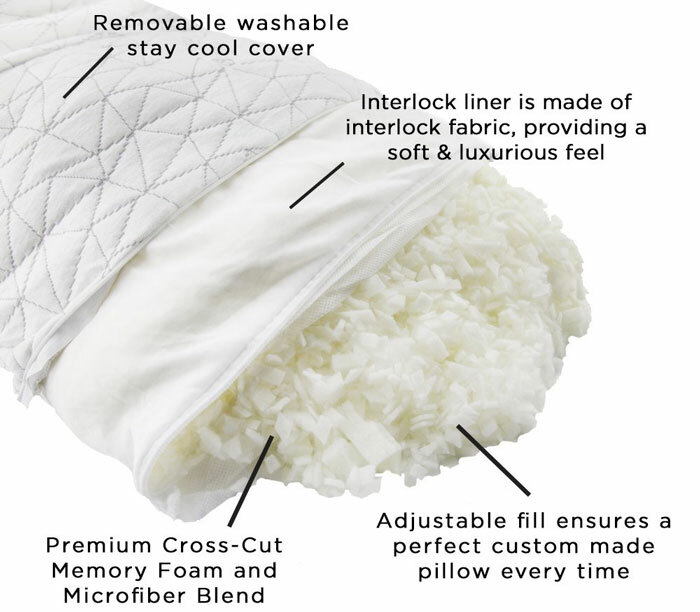 Removable Tencel cover helps manage moisture and keep the pillow surface cool. There seems confusion regarding what loft and hardness level to choose. 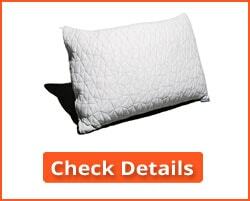 If you want to return the pillow, you pay shipping and handling charges for returns. The cover can be machine washed but the pillow only spot cleaned apparently. Editor’s Notes: On the face of it, this looks like a good pillow. It offers options in loft/height and hardness. However, there seems to be no ‘sleep test’ period and information regarding CertiPUR-US certification is not evident. Nevertheless, the majority who purchased this pillow give it an excellent rating which we believe it deserves. 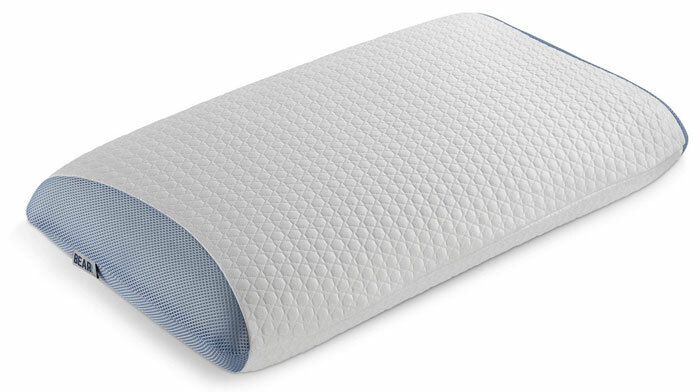 The Sleep Innovations memory foam contour pillow has been designed to support your neck and help prevent neck pain. Was this a review of orthopedic pillows, this would possibly have taken the top spot. It comes with a higher and lower contour setting so you can use the side that best suits your neck and the way you sleep. It adapts to the shape of your head, neck, and shoulders to help keep your neck in line with your spine. The low end is around 4″ high, and the high end around 5″ with the middle around 3″. Good for those with neck pain, and also for preventing neck pain. Helps straighten the neck in line with the rest of the spine. Memory foam gives good support to your head while sleeping. Two heights to suit how you sleep. Foam made in USA and product assembled in the USA. A cover can be machine washed. Sleep Innovations memory foam is CertiPUR-US certified, and all products are manufactured free of known toxins. The pillow itself cannot be machine washed, but can be spot cleaned. Warranty void if the cover has been removed or laundered. You are responsible for the cost of return of the pillow, even if it is faulty. No sleep trial period evident on the site. 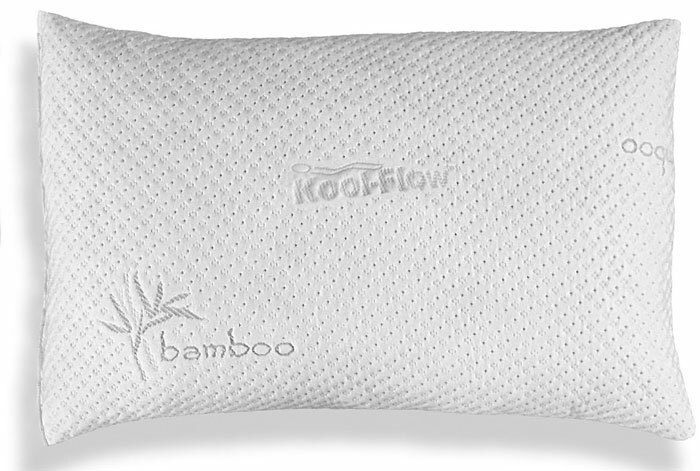 Editor’s Notes: This is an excellent memory foam pillow if you have neck pain, and it can also prevent neck pain in those that do not yet have it. The memory foam helps to support your head in the correct alignment in a different way to that of the shredded memory foam pillows. While they tend to adapt to the pressure of your head, the Sleep Innovations memory foam contour pillow reacts to both the pressure and heat of your head and neck. The warranty is a bit skimpy, and there is no apparent trial period. You should read this buyer’s guide to the best memory foam pillow reviews 2019 before coming to a decision. It is important that you understand the factors involved. Let’s first start by explaining what memory foam is. Memory foam is a type of foam that is also known as a viscoelastic foam: it softens with the heat and pressure of your body. That means that when you lie on a memory foam pillow, it molds to the shape of your head, neck, and your shoulders and supports each independently. Some memory foam foams contain gel beads that absorb heat and help keep you cool. 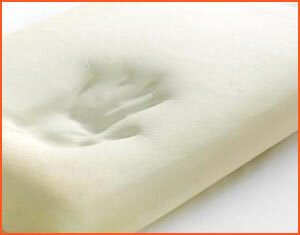 Gel foam tends to be more expensive and none of the memory foam pillows in our review are of this type. Pillows can be cooled in less expensive ways. Memory foam pillows help to keep your head and neck straight in relation to the rest of your spine. They certainly help people who suffer from neck pain. 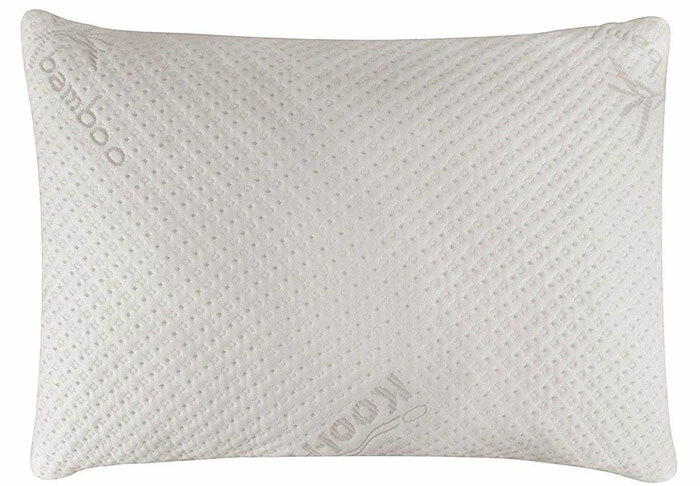 Shredded Memory Foam: A shredded memory foam pillow looks just like a traditional oblong pillow. The height or thickness of a pillow is known as the ‘loft’. This type of pillow consists of thousands of small shreds of memory foam packed into a cover. The covers of the three shredded memory foam pillows we have included in our review are zippered, enabling you to remove foam if it is too thick or hard or add more if you prefer it thicker or harder. They are generally available in standard, queen and king sizes. Apart from the ability to adjust the loft, the advantage of shredded foam is that it easily shapes to your head and neck to provide excellent support in a natural orthopedic position. Occasionally, people may find that the foam compresses down too much, or separates each side of the head creating a valley. In such cases, all it takes is to add more foam or to plump it up in a warm tumble dryer. Contoured Memory Foam Pillows: A contoured memory foam pillow has a groove or channel running across the center, with two raised areas to either side of it – top and bottom. Your head will cradle in the groove and the raised ridges will support the neck. If you have problems with your neck, you may find a contoured pillow to be more comfortable. 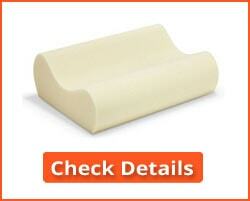 We have one contoured pillow in our list, consisting of a 4″ and 5″ raised neck roll either side of the head groove. Many back sleepers find this design perfect for them, with the back of the head supported in the groove with the neck supported by the higher raised area. Side sleepers should use the smaller raised area. Wedge-Shaped Pillows: Wedge pillows are what they claim to be: pillows in the shape of a wedge. It is triangular when viewed from the side, and often used for resting back on and propping up the body. They are often recommended for those suffering conditions such as acid reflux or respiratory issues where it is best to sleep in an elevated position. They are also excellently shaped for pregnant women – they can be situated strategically beneath the bump to take the strain off the lower back. We have not included these in our review. Traditionally Shaped Pillows: We have two of these in our list. These are the Bear and Zalouf pillows. Such pillows rely on the filling rather than the shape of the pillow to work for them. They are fundamentally regular pillows filled with a slab of memory foam cut to size. Memory foam pillows offer many benefits, particularly if you use one with a memory foam mattress. There are some negatives, although, in our view, the positives outweigh the negatives. a) Alignment of the Spine: Because memory foam conforms to the shape of your body, a memory foam pillow allows your head and neck to sink into it according to their shape. That means that the head is not forced up as on a normal pillow but sinks to the level of your neck. This helps to prevent or relieve pressure on your cervical vertebrae and keep your entire spine in its natural shape. This is the case no matter how you sleep: on your back or your side. Front sleepers not so much, but it can help. b) Relief of Neck and Back Pain: If you suffer pain in your neck and back, then a memory foam pillow can help relieve this. It is not guaranteed since much depends on your condition. However, if it is caused by bad sleeping posture then a memory foam pillow can help – particularly if used with a memory foam mattress. Shoulder pain can also be affected since these should also be properly supported. c) Hygiene and Allergies: Polyurethane memory foams tend to help you avoid allergic reactions to dust mites and mildew. This may be the best type of pillow for asthma sufferers or those who suffer respiratory reactions to certain allergens. d) Washable: Most shredded memory foam pillows can be machine washed and dried, including those included in our review. Where the foam cannot be washed (e.g. contoured foams) the zippered cover generally can be. Smell/Odor: Most polyurethane foams, whether viscoelastic or not, emit a chemical smell when first unwrapped. This is due to the off-gassing of the chemicals used in its manufacture. Such odors tend to die away after a few days, so the best approach is to open the package when it arrives and keep the pillow in an open space (spare room or conservatory) until it dissipates. 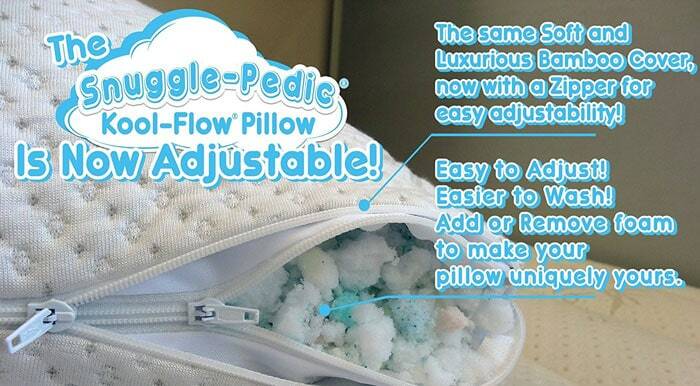 Another solution is to wash the pillow a day or so after opening – but only if it is washable! Separation/Flattening: Shredded memory foam pillows can flatten over time, and the areas either side of your head can also separate to form a flat area. This is true irrespective of manufacturers’ claims. The easy solution to this is to take the pillow, put into a tumble dryer and gives it a few tumbles at a warm setting until it plumps up again. You can also add extra shredded foam if need be – this is usually available from the supplier. Price: Memory foam pillows are medium priced – not the cheapest, but also not the most expensive. However, keep in mind that the price you see will usually be for just the one – so check to make sure. If you need two it will likely double, since most sellers do not offer discounts for two items. You will usually get the best prices by buying online. 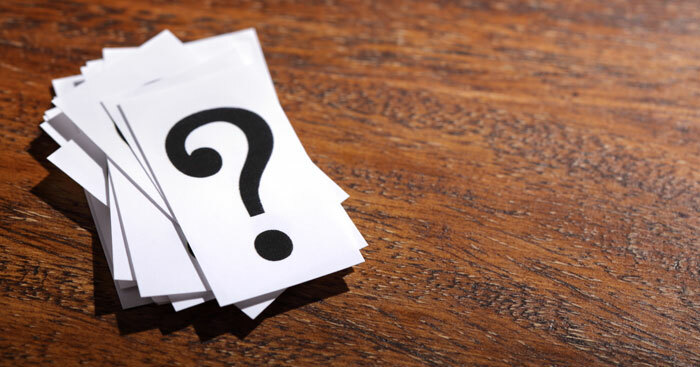 Here are some of the questions we have received regarding our best memory foam pillows reviews 2019. There are just five of them since many people don’t ask questions about their pillows! 1. What's best for me: a shaped pillow or a shredded memory foam pillow? Much depends on how you sleep (side or back) and whether or not you suffer any pain or orthopedic issues. A shredded memory foam pillow is the best all-purpose type of pillow and will help with most issues. It is good for side sleepers, and can also give back sleepers good head and neck support. However, if you have specific neck pain, it’s worth trying a shaped pillow. The one we recommend has a raised area of both 4-inches and 5-inches above the central depression. Your head fits into the depression and the raised areas support your neck. This keeps your neck and spine in their correct relative positions. The larger raised section is predominantly shaped for back sleepers, and side sleepers could use either depending on their head and neck shape. 2. Is it best to buy online or in a store? Regarding your consumer rights, they are just the same wherever you purchase your pillow. Some people like to try their pillow out in a store then buy online at a better price. Guarantees are usually the same no matter where you buy the product. The top 4 pillows on our list offer a trial period, so you can return the pillow if it is not suitable for you. However, not all pillows seem to come with a trial period, so testing in a mall store for those that don’t might be a good idea. 3. 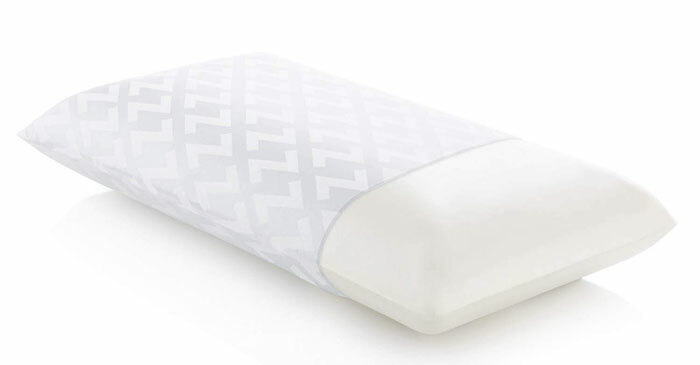 How do I use my contour pillow? A contour/contoured pillow has a central channel or groove running from side to side, above and below which are two raised sections. One will be raised higher than the other. Side sleepers will generally lie with the side of their head in the groove with the smaller of the raised areas supporting their neck. Back sleepers will sleep with the back of their head in the groove, with the larger of the raised areas supporting their neck. In this way, your neck is properly supported in line with your spine without the individual vertebrae putting pressure on the disks. This YouTube video shows you how. 4. How do Warranties Work with Memory Foam Pillows? It’s important to check the warranty details before making any claim. In fact, you should check the warranty before purchasing any product – online or offline. Each manufacturer will have its own warranty conditions. If you see the term ‘Limited Warranty’ then check carefully what that means. In some cases, your warranty may be invalidated if you have removed and washed the cover! In others machine washing, your item may invalidate it. Always check the warranty conditions and abide by them. If you don’t like them you can balance the product against the likelihood of you returning it for defective workmanship (which is what most warranties cover) or simply buy another brand. 5. Can my pillow be washed? Most shredded foam pillows can be washed, but most solid foam pillows cannot be. Check with the manufacturer’s cleaning instructions. If you damage a pillow by washing it, you will invalidate any warranty or sleep trial period if it is not marked as being suitable for washing. Safest action: do not wash unless you have something stating that it can be washed – and then check the warranty carefully. It is genuinely not possible to choose the ‘best’ memory foam pillow because each is designed for its own particular type of sleeper. For example, the best for a back sleeper might not be the best for a side sleeper with severe neck pain. Our top 6 comparison list is based upon intended use, shape, functionality and the number of competing products within these criteria. Shredded memory foam pillows are popular because they most resemble standard types of pillow that people are used to using: feathers and shredded foams. Our conclusion is that there are many excellent memory foam pillows available and that our top 6 are representative of the market as a whole. In general, we have selected the best that, in our opinion, represent their own style and intended use. Please contact us if you have any specific questions to ask and we shall do our best to help you.